We couldn’t think of a better way to get into the holiday spirit than with the annual South End Holiday Stroll full of carolers, festive displays, and unique stocking stuffer finds. To add to the excitement, we served glasses of sangria and seasonal hors d'oeuvres at one of our favorite boutiques, Flock. 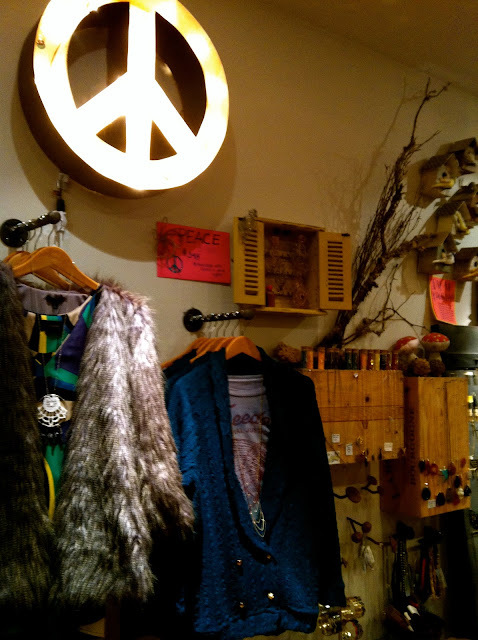 First a vision between the lovely and creative Kupsc mother and daughter team, the cozy, aesthetically enchanting shop featured bold patterns, whimsical cuts and intricate jewelry. It was no surprise that the decor was further decked out for Christmas with quirky ornaments, metallic peace signs, and even a faux reindeer. The Flock ladies, matching in glittery jackets and shawls, were equally as radiant and inviting. We had a blast! One of the appetizers we served was both a layering of colors and flavors. 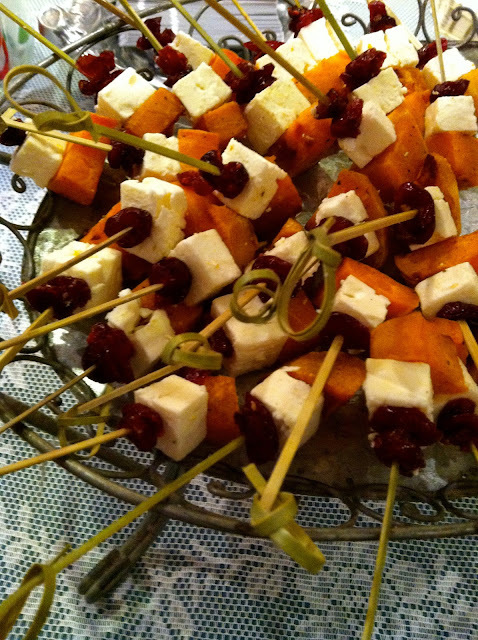 Smoky roasted sweet potatoes, creamy and salty feta cheese, and tart and subtly sweet dried cranberries stacked on looped bamboo skewers. The shoppers grabbed the bites while sipping their sangria through red and green striped straws. Preheat oven to 400 degrees Fahrenheit. In a bowl, toss the sweet potatoes with the EVOO, garlic powder, salt and pepper and arrange on a lined baking sheet. Cook for 25-30 minutes until slightly browned and soft. Set aside to cool slightly. 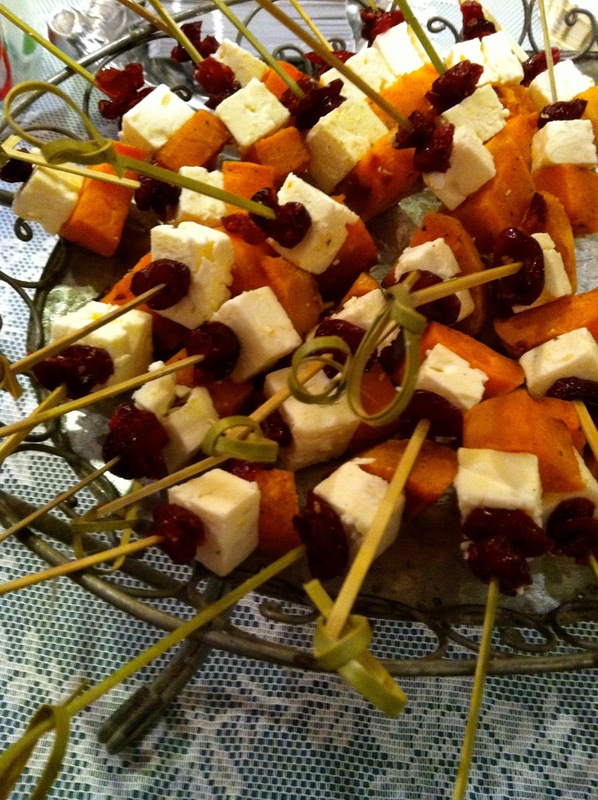 On each skewer, layer the cranberry, then feta, then sweet potato. Makes 48-50 skewers.